Is your money funny? Do you know where every dollar goes each month? Do you feel like you’re just in a tailspin when it comes to your money? Well, read on because in this 30-day series, we will talk about financial wellness and home ownership. 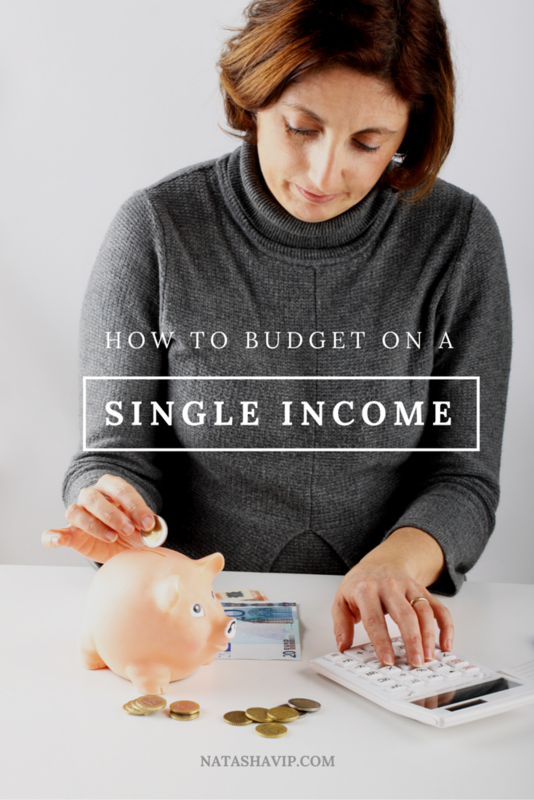 Let’s start with how to budget on a single income. Today’s post discussing single household income falls underneath financial wellness. I love the term financial wellness. I believe it means to be on a journey towards financial harmony that allows one to live the life they want – to live free of debt, to be able to live a life of service, and to be a good steward of what they have. As a single mother, you are the main income earner of your family. Even if you are receiving child support or income from a second job, you still have to manage it well for the good of your family. Therefore, it is important that you take steps to understand your money, understand the power of budgeting, and how to budget on a single income. With age hopefully comes wisdom, and in my 38 years I have won and lost when it comes to money. Frankly, I’d say I’ve had more losses than wins. Maybe I’m being too hard on myself but I’ve learned the hard way about the importance of understanding my money. From business ventures gone awry to credit card debt, my money was not only funny but at times there was no money at all. I lived from check to check sometimes barely making it to the next one with only a few cents to my name. So you can say that my financial wisdom comes from the school of hard knocks. To understand your money is to know how much you’re bringing in from all income sources and how much is going out every month. Sometimes we put on blinders and don’t want to face what we’ve created. But in this series, I am urging you to open up your eyes and take care of your finances. Write down your total income from all sources (i.e., job, side business, child support, etc.). Create a list of your everyday expenses from the last 30 days. These items include things like groceries, fast food, entertainment, etc. You can drop these expenses into a spreadsheet like Excel or simply write them down on a notepad. In an upcoming post, we will look at how these expenses add up and where you can cut to save money. Gather all of your bills including any variable expenses you may have like quarterly insurance payments. Start an organization system for each of these bills. If you have paper copies, create a file folder for each company or creditor. If you have electronic copies, also start electronic folders for each of your bills. It’s important to develop an organized system so you can make payments on time and understand how much you’re paying out each month. I want to give you time to gather your financial information so you don’t miss anything. In another post, we’ll go to the next step of breaking down each of these a little further. This post may contain affiliate links at no cost to you. See disclosure page for further information. If you’re like me, you may have to get up in the middle of the night to get a glass of water or to use the restroom. The room is dark so you’re kind of feeling your way either to the light switch or straight to your destination. You know your home so you have a pretty good feeling of where each room is located but what happens when you turn on the light? Yes! You can see a clear path to the kitchen or bathroom. No more doubt and hopefully no stumping your toe on the corner of the dresser trying to make your way out of your bedroom. Now let’s think of your money and budgeting in the same way. Without at least a simple budget plan, you sort of know the income amount you’re bringing in each month. 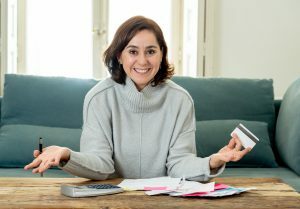 You have a pretty good idea of how much you owe for utilities and debt every month. But it’s all in your head so everything is not clearly visible. Let’s face the facts – it’s just plain ole dark. Now think about what will happen once you gather this information together into a budget spreadsheet or paper worksheet if that’s your style. Bam! The light is on and you can now see clearly understand how much is coming in and exactly how much is going out. Every dollar of your money is assigned as Dave Ramsey would say in no uncertain terms. Let’s think for a second. How does it feel when you go from darkness to light? Physically speaking, it feels great. Financially speaking, it feels great. Don’t you want to come into the light? Isn’t it time for you to feel free from the burden of the unknown? 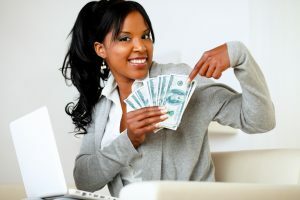 Aren’t you ready to step into your power and take control of your finances? There are no secrets here but there is work to be done. And you can do it. The power of budgeting isn’t some magical wizardry. The power lies in you. It’s your sacrifice. It’s your patience. It’s your dedication. The fear of the unknown is a powerful thing as well. Being in the dark about where you stand financially drains your inner spirit because the thought of doing better is constantly swirling in your head. Don’t allow this to drain you anymore. Prepare to step into your next level. Yes, you can enjoy financial wellness. Yes, you do deserve it. But to get there is a journey. This isn’t a one-stop shop. There will be obstacles along the way. You will fail at times. Sometimes you will have major wins. But the key is to keep going. Have I reached the promised land? No, I haven’t. But I’m still on the journey. In fact, I don’t believe we will ever reach some sort of end point in our finances. There will always be another goal to meet. That’s okay. This is how we will stay in the light – heading towards a brighter financial picture. 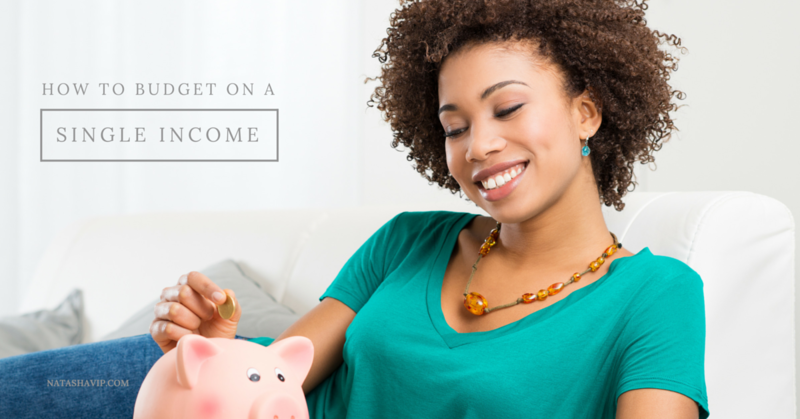 It’s not the amount of income you bring in that will set you on a path to financial wellness, but it’s what you do with the amount of money you have coming in. This isn’t to say that we shouldn’t set goals to earn higher incomes. Not at all. But realize that you have to be content with what you have and allow that to work for you. Regardless if you have a single income household or a two income household, you still need a budget. You still have to account for every dollar. It still matters what you do with what you have coming in rather than the amount. It makes no difference if you make $100, 000/year if you don’t manage your money. You will have problems. I’m sure you’ve heard stories of people making less than that who have more money in the bank than the person with the higher income. I know I have. Earlier I asked you to do 4 things for me – more importantly, for you. Please be sure to start this process as soon as possible. In an upcoming post, we will look at creating a simple budget. But you first have to gather up your information so you will know what goes into your budget plan. Finally, you hold your power. Money does not hold power over you. That’s a good affirmation statement right there. Remember it and repeat it. Tell your money what to do and how to work for you. Understand your money and get on the journey to financial wellness. Are you ready? 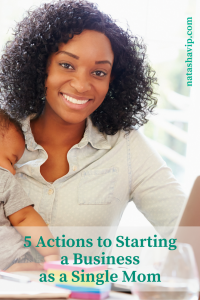 Are you going to take action on those 4 items? 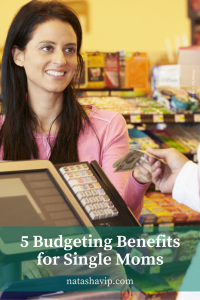 This is a really great resource and and awesome tips to think about when budgeting. Helps me bring into focus all of the expenses I need to consider and think of ways of producing multiple income streams as well. Great job! Hey Lauren! Thank you! I’m so happy this post inspired you.